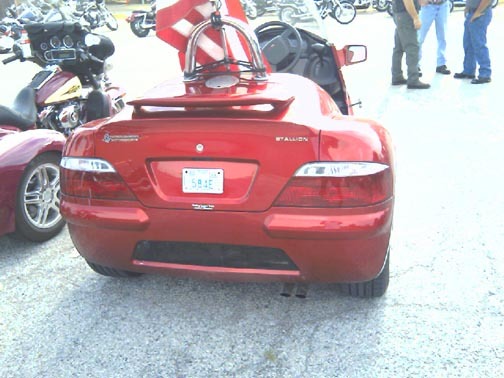 Was on a PGR mission yesterday when a lady pulled in to the staging area with a Stallion Trike. I have never seen one before. I took some quick photos with my cell phone for reference. It has a Ford power plant. Now ya done it. When I win the lottery I'll buy one, but that means I'll have to start buying tickets. Maybe I could talk every one on the list into sending me just one ticket each and that way I still wouldn't have to buy any. My youngest daughter walked into the room while I was looking at it and her comment was Sweet I want one. Guess that means I better think about getting two. Life is complicated. Ya Know, The sad thing about it is has no windshield wiper...But it sure looks like it can pull a trailer or a tree stump if it had a mined to. Yep, but I reckon that DennisB could mod the wipers on to it. Now ya done it. When I win the lottery I'll buy one, but that means I'll have to start buying tickets. I have always believed that if God wanted me to win the lottery, then God will find a way for me to win the lottery without buy any tickets. Hey Dennis... I saw one of these about 2 months ago from the rear... did not know what it was.... the one I saw was pearl white... pretty impressive machine. Happy to see you back with us now that your on the mend from your bike accident. Yea, that Stallion was something to see up close. It sure does have alot attension getting appointments on it. Bill, now you see why I need everyone else in the group to get them for me. Cause I don't buy them. I must say, I just don't get it. I have seen them priced around $25,000. For that kind of money, you could get a Mazda Miata or MiniCooper. 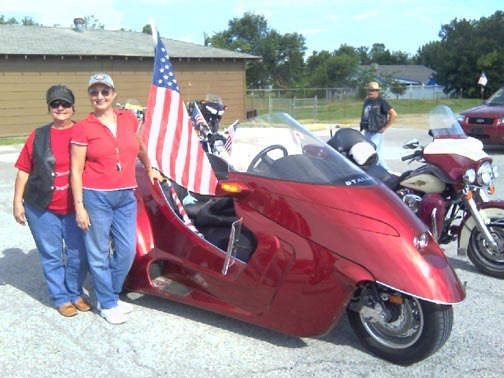 It will do everything that this trike can do and more. Better warranty, more places to service it, more luggage space and you can put the top up if it rains. The only thing that I can see the trike having is better acceleration. But what do you do if it rains? 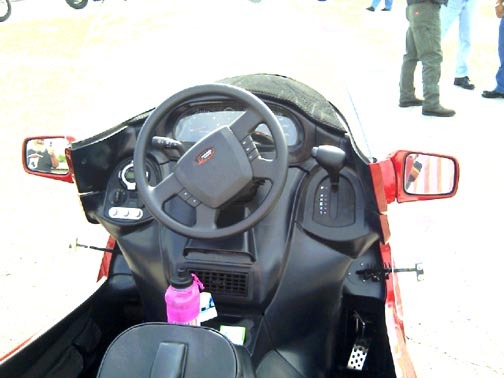 Each person can suit up, but then the inside of the trike gets wet. 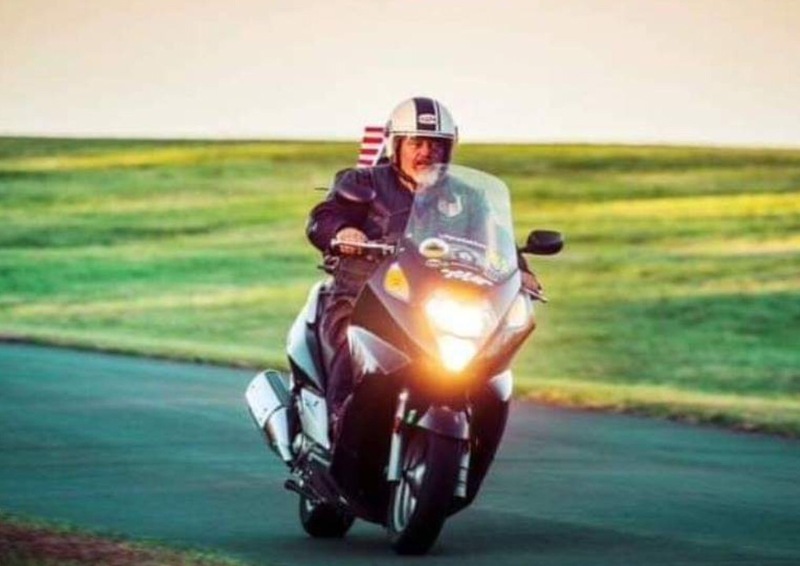 At least, when you trike a regular motorcycle, you still get to sit on a motorcycle seat, feel the wind in your face, shift gears and have a handlebar in your hands instead of a steering wheel. If I won a million dollars....I'd buy a new?.... I just don't know what hell I'd buy! They are now priced close to $30K. It has a Ford Focus drive train. Too rich for me. It is pretty cool looking though.